Today marks four months since the publication of Ivory's Curse, a shocking report on the militarization and professionalization of poaching. This morning, we've released a second groundbreaking report, Out of Africa: Criminalization of the African Ivory Trade. This report focuses on the ivory supply chain and the trafficking of ivory from the bush in Africa to retail markets tens of thousands of miles away in Asia. The report comes at a time when poaching has reached crisis levels and the illegal wildlife trade is more organized, lucrative, and militarized than ever before. As CEO Adam Roberts explains, "The ivory trade is operating today at the highest level since the 1989 commercial ivory trade ban. 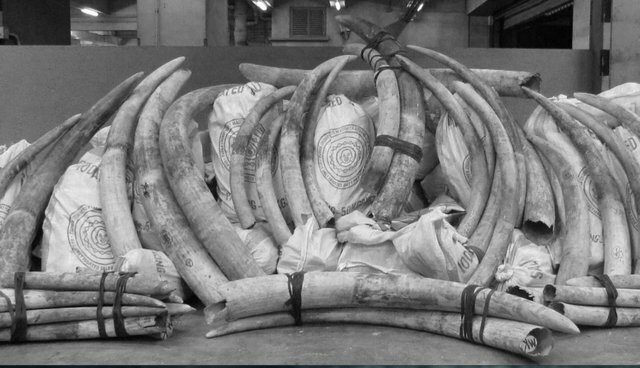 Our investigation reveals that between 2009 and June 2014, there were more than 90 large-scale ivory seizures, collectively weighing almost 170 tons that bear the hallmarks of international organized crime. This would amount to approximately 229,729 elephants killed and trafficked in fewer than six years." A large majority of all of the illegal ivory is accounted for within a small number of transactions; through a small number of ports and airports, and to a small number of criminal networks. The top three airports in the chain are in Nairobi, Addis Ababa, and Johannesburg. Traffickers able to operate from the forest to the market can earn more than 2,500% in profit margins. Read the full report, available here.